My husband and I are quite caveman like when you compare what our children have to others. I'm not saying that we go without heat in the house (although British Gas are certainly not helping this situation) and we don't eat raw meat, after all my eldest daughter isn't a "meat lover" -her words. What I am talking about is technology. In terms of our household I guess you could say we were a bit behind the times, we own only the one computer and that was because it was a second-hand gift. We don't have any game consoles, tablets or a internet linked TV (although this starting to make sense to me), my husband and I obviously have our phones (Samsung's even if you didn't ask) which the kids drive us insane over with fighting on who's turn it is to play Temple Run. Microsoft coins that my friends children buy are are literally lost in translation on me and I still have no idea why you would need them to play a game console. Recently I was asked "What kind of impact has the introductory of technology had on the bringing up of your kids?" and it got me thinking, perhaps we should start moving with the times. After all with our all singing and dancing package on Virgin broadband we have interactive technology on tap, but yet we don't really use it to it's full potential. I foresee in the coming months this will change! Thinking back to when I was the age of my children things really couldn't have been much more different. 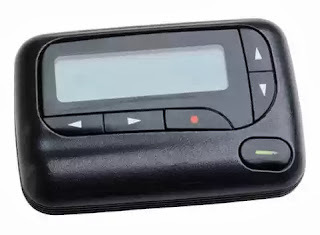 When I was a teenager I remember thinking I was really cool to have a pager. As far as an interactive toy went the Tamagotchy was a hit and my Mum often had the task of babysitting. The Internet was the dial up variety that you had to use in the school libary, as your parents would moan about blocking the phone line and hiking up the phone bill to epic proportions. My first phone was a Nokia 5110 and the only exciting piece of technology it really produced was Snake, there was no 'BB' messaging going on in school and the only viral gossip you had to worry about was in the playground at breaktime. WiFi and iMessage were long yet to come. These day's kids have iPhone's and are downloading all kinds of apps and communicating over ways that makes using a BT phone booth (remember them?) to page someone look positively ancient, in hindsight why you didn't just call the person you were paging I don't know. The difference is amazing. Part of our reluctance to have more technology in the house is the cost (not the internet package, the actual consoles), the other part is it quite frankly it scares the hell out of us. We don't want our babies growing up too fast and wanting too much to soon, we do however realise that at some point this has to change. The computer and the Internet is normal for my girls, whether that be fighting over who's turn it is to play on Moshi Monsters to searching Vincent Van Gogh and early settlements on Google. Researching for my homework in the 90's meant loading up the Encarta disk and hoping that what you produced wasn't too like for like. With my daughters 8th birthday fast approaching (and her attitude fast increasing) she asked for an iPhone! When I challenged her on it mentioning she'll have no one to call she quickly fired back she could speak with her best friend over Facetime. Que one shocked Mummy (yes my daughter who still calls me Mummy is discussing Social Media). Recently whilst visiting a good friend of mine (her children mostly teens) the Wifi went down and it was amazing how quickly how the boys appeared from their rooms to find out what happened and we joked how turning off a modem was the modern way of calling a family meeting. Is this really what I want? Not particularly but come teen stage it no doubt will be the case. It's bad enough that the husband and I are constantly on our phones throughout the evening, liking one another's Instagram posts and I have been known to message him from upstairs via Facebook for a cuppa! So in answer to the above question, whilst I am fairly anti-technology I realise that we will have to start moving with the times very soon. The older they get the harder it's going to be and after all I want them to be classed as 'normal'. 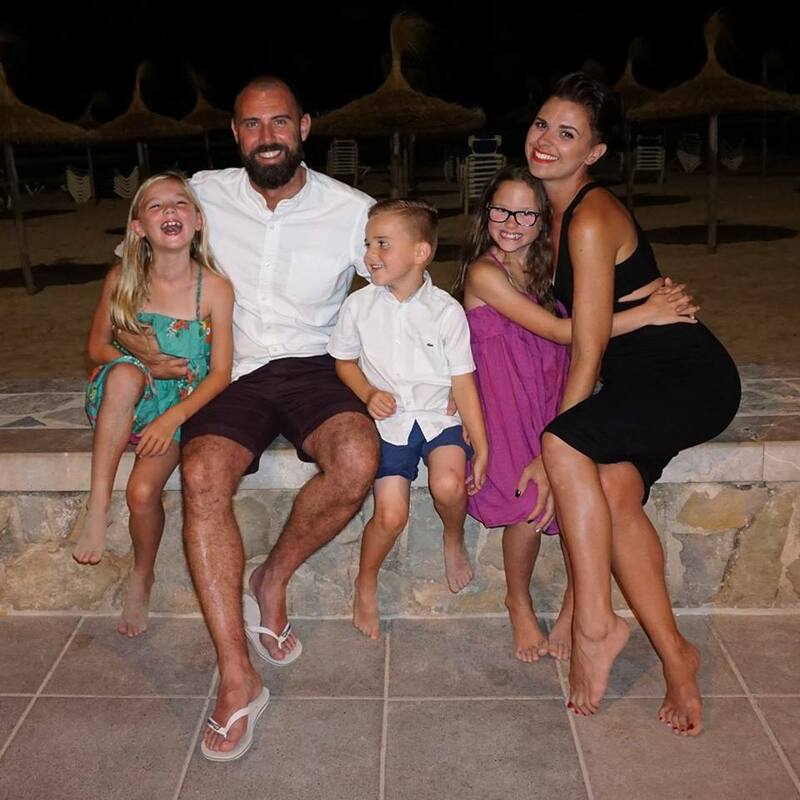 The media doesn't help with my worries, which I realise is a slightly contradicting statement from a social media blogger but we do understand that we can't hide or shield our children from everything although McAfee will help! So this is why we have agreed to start at an iPod touch. It's no tablet I know but it's a BIG leap for us as parents, she'll be able to browse over WiFi, download her games and Facetime her BFF. I just hope that she will still look at me to communicate whilst downloading the top 10 and not email me asking what's for dinner. We will just cross our fingers and hope that we deal with any issues that the internet brings to tweens and teens in the best way we can. With a geek as a husband and 2 boys we have had gadgets galore forever. It drives me mad how we are ALL screen dependent and I wish I were more like your family! Hope you enjoy the ipod touch! Catch 22 isn't it! Dammed if you, damned if you don't! I'm sure she will, it's such a difficult one. I guess this is what childhood is these days?! My 8 year old daughter asked for an iPad for Christmas. I told her that Santa can't afford to give every kid an iPad. We'll see how long I can get away with that! There is always a compromise between technology advancing life and solving problems - and losing all contact with the world and faces glued to screens. I think that kids should get all the technology access they need at schools (yes I am aware of the budgets and teachers screaming for more tech products #justsaying) and then enjoy the great outdoors, and socialising in person! Don't get me wrong - social media and tech has helped keep families in contact with one another and bridge the gap of long distances, especially as careers have forced families to be further apart. I hear that bingo phrase coming.... "It's all about the balance" - and it is! Technology needs to be used and consumed in the right way to be healthy. It is not about who has the most gadgets! I'm the dinosaur in our family, although I do have an iphone. My husband had ipad and iphone and both children (12 and 10) have ipods. It's amazing though how lost I feel if I leave my phone at home. My husband is, at this very moment at a talk at our daughter's secondary school given by police officers about e-safety. The dangers for our children of misuse of technology is a big concern. When used appropriately though they can be a great learning too; and can be of a huge benefit. hahaha...i used to wear that pager for work. Used to scare the crap out of me whenever the darn thing buzzed. I still have an aversion to phones and pagers but thankfully, the latter is pretty obsolete these days. The crazy thing is my 7 year old's homework require the use of a computer. It's becoming pretty obvious that she'll need to have one of her own pretty soon as both the hubs and I are so reliant on ours for work. The thing is we need to be one step ahead of them all the time. Scary. Pretty sure they vibrated more than phones do now. In fact do you remember when a phone vibrating is what sold it! Very scary. Bless the football situation! It's interesting to hear different family situations. Oh and I got it wrong Googled 5110 and that was my first! I need to edit!! This is such a touchy subject, I try to limit screen time for my children because I have 3 boys and they tend to be glued to anything tech. I usually win those battles but only because they are so young. I pray I continue to do that as they become teens.